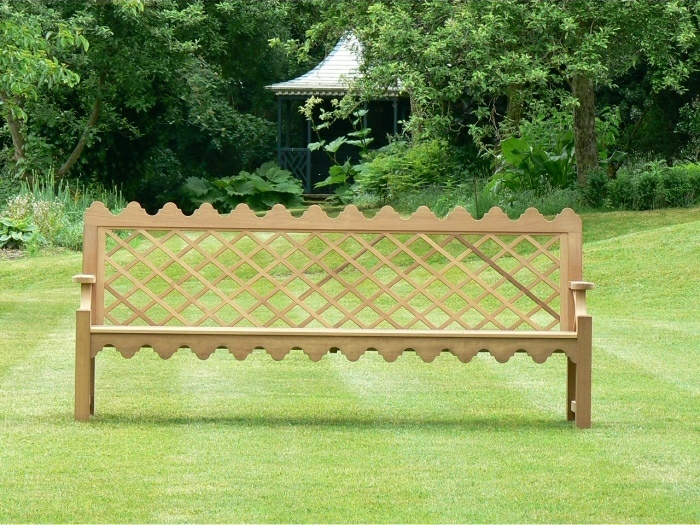 I designed the Indian Lattice Collection after a trip to India and Nepal in 1984 with an inspiration coming from art and architecture of the Mogul India to Indian Raj. 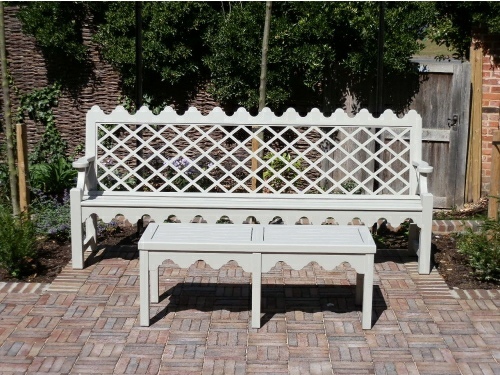 The lattice panels of the backs are strongly reminiscent of the lattice tracery found in Nepalese and Indian architecture. 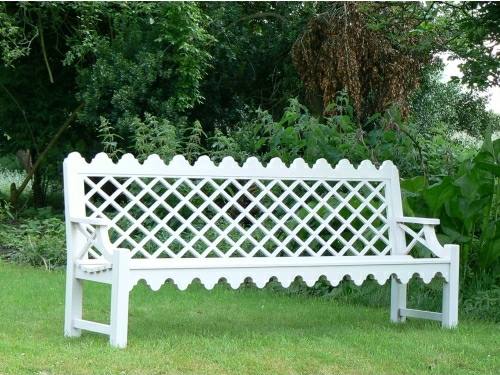 The seats offer a combination of Indian / Oriental style but equally an elegant Victorian style influenced from the Empire. 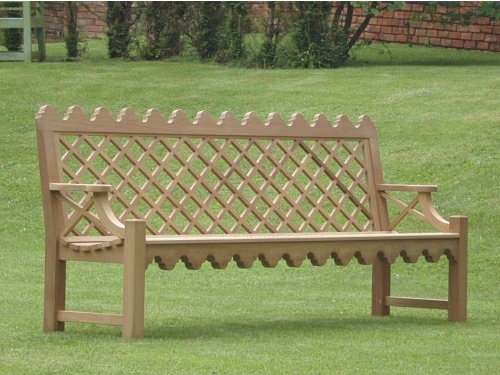 This design feature can be found across the Indian Sub Continent and commonly around the rim of the Indian Ocean. I have even seen a similar design cut into rusting corrugated iron on a shack on the island of Zanzibar. 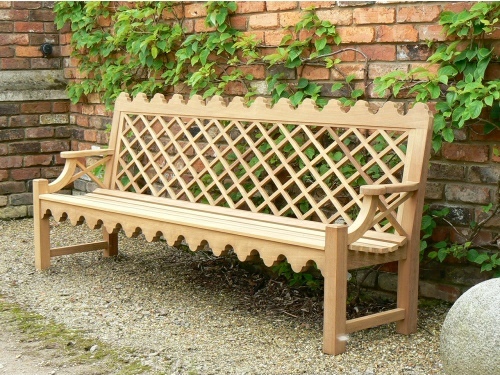 The Indian Lattice four seater garden seat is a long seat for some reason often purchased for old rectory gardens! 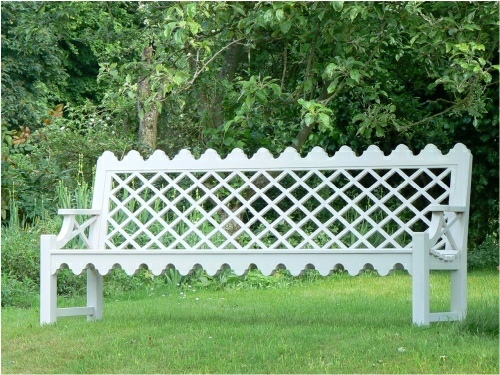 The Indian Lattice motif on the seat back and front under rails of the seats is also used as under rails on Indian Lattice tables.